So you’re definitely moving from London to Coventry. Everything has been signed, sealed, and now it just has to be to be delivered. Well, that’s where we come in. We are a removal firm which can help you in a multitude of ways to make sure your household belongings are transported safe and sound to Coventry. Moving Service has assisted people relocate to Coventry for a number of years. That’s why when it comes to moving home or business from London to Coventry we should be your number one choice. Our prices are some of the lowest in the removals business because we tailor our removals service around your individual situation. So you get everything you want at the price you want. Why not find out for yourself by calling us on 020 8746 4402 for your free quote. It will put moving from London to Coventry in a whole new, less expensive light. You can rest assured however, that our cheap prices don’t mean a cheap service. We’re one of the most respected removal carriers in the area. We’ve built up our reputation as a trustworthy, reliable removals company by constantly delivering on our promises. We treat every removal, whether it’s a man with a van service or a team of removal men you need, with the same care and attention we’ve treated all our removals to Coventry over the years. In these difficult economic times, we have strived to do our bit by keeping our prices low so you can begin your new life in Coventry knowing you saved a lot of money using our removal firm. 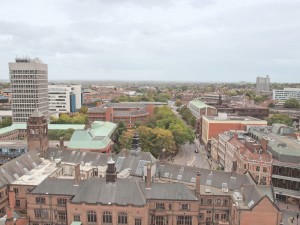 Coventry, with a population of approximately 317,000, is the second largest city in the West Midlands after Birmingham. 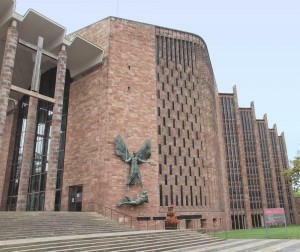 It has two universities, Coventry University and the University of Warwick. Amongst the interesting facts about the city is that The London black taxi cab has always been made in the city. Legend has it that Coventry is the birthplace of St George, the patron saint of England and Coventry Canal is the only one in the UK to terminate within a city centre. Coventry is also famous for its cathedral which was bombed during the Second World War. Its modern replacement was built in 1962. For your home or business move to Coventry, remember when you hire our removals firm, you are hiring a removals business which has a range of moving home services many other removal firms just don’t have. Such as our packing and unpacking service which can be a fantastic help when you’ve got a deadline to meet. We also have a wide range of packing accessories and packaging materials so you don’t have to go around searching elsewhere for what you need. We also have storage space which is second to none in terms of size, quality and price. Long-term or short-term you’ll never have to worry about what to do with those extra household contents you won’t be taking with you just yet to Coventry. Business or House Move - We'll Take Care of It! Regardless of whether it’s a business relocation or house move to Coventry, Moving Service should be your first choice. We’ll take care of your every need which includes always being on hand to answer any questions or queries you have about moving home to Coventry. Moving home from London with us is a far less stressful experience and one where our removal service will put a smile on your face all the way to Coventry. So call us now on 020 8746 4402 and hear for yourself that with our removal company, moving from London to Coventry can be stress-free, inexpensive and simply better than with anyone else.